BREAKING NEWS: The Sports Factory of NEPA announces major expansion with the addition of gymnastics, martial arts, yoga, spin and fitness classes. The Sports Factory of NEPA is excited to announce three new partnerships that will greatly expand the sports facility’s offerings to the Northeast Pennsylvania community this fall. 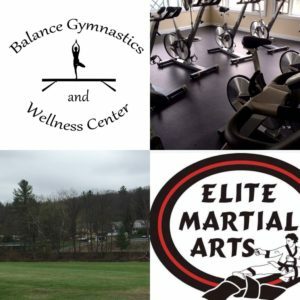 Balance Gymnastics and Wellness Center and Elite Martial Arts plan to relocate to the Sports Factory of NEPA later this year. In addition, Factory Fitness will open this fall at the White Mills training complex.The addition of gymnastics, spin and fitness classes, yoga and a dedicated space and full schedule for martial arts is part of a larger expansion that includes over 12,000 sq. feet of new indoor training space, concessions offering food and beverages, and the opening of The Sports Factory of NEPA’s first outdoor field. Next Level Soccer Club will call this field home for its fall league season.All new services are projected to be in operation at the complex by November 2017. Balance Gymnastics, Elite Martial Arts and Factory Fitness join Pro Prospects Baseball & Softball Training Center, Next Level Soccer, Pursuit Field Hockey, Athletic Symmetry Performance Training and Greco Sports League at The Sports Factory. Elite will also offer yoga classes through Erika Duffy. Erika is a certified hatha/vinyasa teacher through Sundari Yoga (now Boundless Yoga) in Stroudsburg, PA. Head instructor Rick Harsche is a WTSDA Internationally-certified 5th-Degree Master instructor and an international tournament judge training and teaching for more than 28 years. Chief instructor John Potratz is a 3rd degree black belt. For more information and class schedules, contact Rick Harsche at (570) 470-1818. •The Sports Factory will offer a variety of fitness classes, including Spin and Tabata Hiit, at the complex’s new 3,600-square foot fitness studio starting this November. Factory Fitness will offer private, semi-private and group sessions, including speed and agility training. A full schedule of all training programs and classes will be available in the coming weeks. For more on The Sports Factory of NEPA and its’ Family Of Services, sports leagues and tournaments, visit: www.sportsfactorynepa.com or call (570) 352-3801.